We’re back on course to the next Blue Zone – the Nicoya Peninsula of Costa Rica! Casado – the Blue Zone lunch, is our take on a Nicoyan central meal of the day: protein, plantains and salad, along with a foundation of black beans and rice. The Nicoya Peninisula is an 80-mile long thumb of land that juts into the Pacific from the northwest corner of Costa Rica. Among a certain type of backpacking tourist the peninsula is famous for its many beaches which ring the coastline. But the Blue Zone of the Nicoya Penisula does not include the coast – it is the rural interior, where many inhabitants still live a traditional lifestyle, either as independent farmers or as sedentary agricultural workers finding employment on larger farms; they raise their own corn, beans, and other vegetables (including two forms of taro) in their own family plots. Until recently the Nicoya Peninsula was set apart by its geographic isolation, reachable only by ferry, but since the 2003 opening of the Taiwan Friendship Bridge the outside world has been drawing closer. At first glance the Nicoyan diet may seem a Central American cliché with its staples of rice, beans, tortillas and variety added by other vegetables and infrequent (by American standards) eggs, or small portions of chicken or beef. But notable features set the local diet far apart from the rest of Costa Rica, and indeed, from the rest of the world. For one thing, Nicoyans eat a lot of fruit that rest of us will almost never see. While an American would recognize bananas, oranges and lemons in the Nicoyan fruit basket, other more exotic tropical fruits would seem bafflingly unfamiliar, yet these provide the Nicoyans with a huge antioxidant boost. 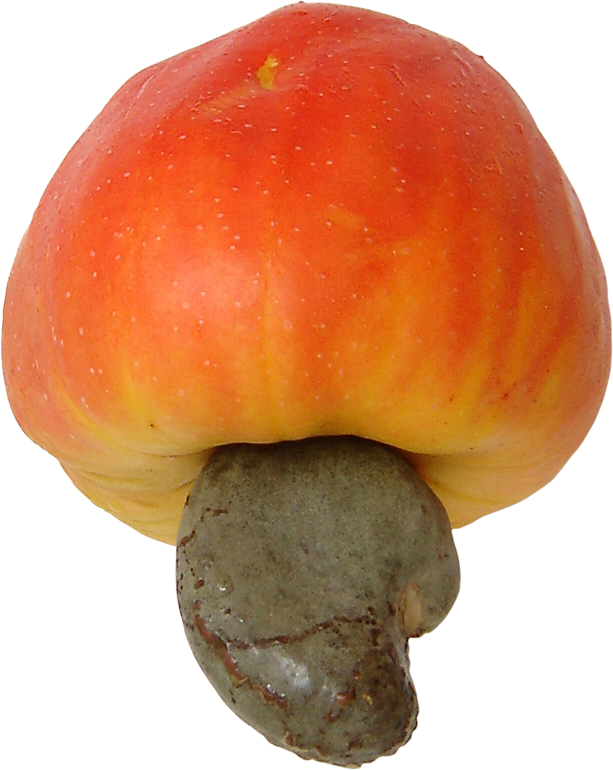 The cashew apple, to cite just one example, contains five times as much vitamin C as an orange. Fruit consumption may play a role in the low rate of cancer among Nicoyans, something not enjoyed by their fellow Costa Ricans outside the Blue Zone. A second striking feature of the Nicoyan diet is its high calcium content. Some of the calcium is sourced through the calcium and magnesium rich local water, augmented by local reliance on the tradition of cooking corn with ash and lye, which increases the calcium content of corn and, by extension, tortillas. Calcium is critical to maintaining bone density, and warding off one of the most common contributing causes to fatal injury among the elderly–a fall leading to a hip fracture. Other lifestyle features undoubtedly assist in making the Nicoyans the longest-lived, healthiest people on the planet. Traditional dwellings are often without electricity, which means that people go to bed early and, after a full night’s sleep, rise with the sun. Like rural Sardinians Nicoyans engage in day-long low-intensity physical exercise through farm labor, domestic chores and the necessity of walking to get around. Also in keeping with the occupants of other Blue Zones, Nicoyans highly value their family connections. Centenarians almost never live alone, but with other immediate family members who value them. *For facts in this post concerning the Nicoya Peninsula, the health of its inhabitants and their diet, I am indebted to Dan Buettner’s book The Blue Zones, available at www. bluezones.com or on Amazon.com. For the month of January–and a little beyond–we’re writing posts about the food of the Blue Zones, a term coined by Dan Buettner and his partners, Dr. Gianni Pes of the University of Sassari in Italy and Dr. Michel Poulain, a Belgian demographer. Blue Zones are five specific regions in the world where people live exceptionally long, healthy lives. The Blue Zones include the Greek Island of Ikaria; Okinawa, Japan; the Nicoya Peninsula, Costa Rica; the Barbagia region in Sardinia, Italy; and the Seventh-Day Adventist community of Loma Linda, California. For additional information check out our previous posts about Blue Zones food here, here and here. You can find Dan Buettner’s article in the New York Times Magazine that aroused our interest here; and you can find additional information at the Blue Zones® website. Note: ½ cup + 1 tablespoon vegetable is listed in the salad ingredients. Only 3 tablespoons are used in the salad recipe – the remainder is used with the beans (2 tablespoons), the plantains (3 tablespoons) and the eggs (1 tablespoon). Add the remaining tablespoon of oil to the pan over low heat. Crack the eggs into the pan far enough apart so they don’t touch, or so that if they do touch they’re still easy to remove separately. Cover and cook until whites are set and the yolks are still runny; longer, if you like your yolks firmer. Season with salt and pepper. Casado is a bunch of simple recipes combined into meal. You don’t have to go for the full boat, but I thought I’d give you the option – it makes a great brunch. I doubt Costa Ricans eat much brown rice, but with the exception of risotto we haven’t had white rice in house for years. Brown rice ups the healthy ante. You’ve probably notice by now that we’ve been on a bit of an egg roll lately, which is culinarily accurate, but you can also find casado with a simple small portion of beef, chicken or seafood. Think of our version as a shout out to all of you with chickens in your back yards and great eggs in your kitchen. Each recipe stands on its own and the beans and rice will last in the fridge 3 to 4 days. Even the cabbage salad works as leftovers for a few days. The tomatoes get a little soft, so pick them out if they bother you (not me), but otherwise, I think the salad gets better after a day. Ken happily microwaves leftover sautéed plantains, but I only like them right out of the pan. The recipes call for both sweet and sour oranges. I located sour oranges at Market Basket in Somerville, my source for most of the unusual ingredients we’ve needed for the Blue Zone series. If you don’t have access to a market that caters to Caribbean tastes, then substitute the juice of 1 sweet orange and 1 lemon for the juice of 2 sour oranges. Go ahead; click on a photo in the gallery to see it writ large. Left and right arrow keys will move you through the photos. This entry was posted in Breakfast, Brunch, Dinner, Easy, Entree, Lunch, Salad and tagged beans, Blue Zones, cabbage, Casado, Costa Rica, Nicoya Peninsula, plantains, queso fresco, radishes, rice, salad, tortillas. Bookmark the permalink. This is such a great post! I’m fascinated by the Blue Zones and just last week, at dinner, I sent a few people here to read your post on Okinawa. (My cousin was stationed there quite a few years ago.) As fascinating as this is, you photos are all beautifully shot and really do make these entries, for me, visually stunning. Well done, all way ’round. I’m heading back with friends to the Nicoya penisula for the second time. We stay on the beach side in Santa Teresa. My favorite thing about the last trip, besides the excellent beaches, were the casado we enjoyed each day for lunch followed by a siesta. Having read this post, I’m looking forward to our trip even more! Love the colors on that plate. Eat the rainbow I always say. Yum, yum and yum! Great post and photos! I find the story of The Blue Zones fascinating so this post was even more interesting to me than just my love of great food. Thanks for sharing – I’ll definitely be trying this! Health benefits or no, that’s one beautiful plate! Wow, you’re blog is perhaps the most beautiful and well designed one I’ve seen! Also, your casado does look delicious and very different. What a grand & very appetizng post this surely is! :) I love the step-by-step guide too! fabulous pictures too! :) AMAZING!!! !